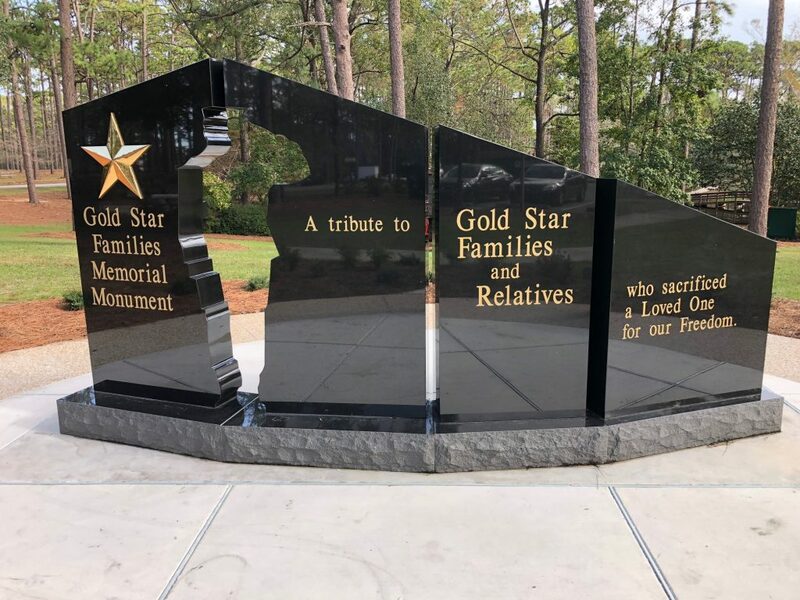 NEW HANOVER COUNTY, NC – New Hanover County Parks & Gardens will dedicate a Gold Star Families Memorial Monument at Hugh MacRae Park on Monday, November 19 at 11 a.m. The monument has been constructed next to the war memorial as a tribute to Gold Star mothers, fathers and relatives who have lost a family member in the line of duty. The monument tells the story of homeland, family, patriot, and sacrifice along four panels and is located near the pond at Hugh MacRae Park. The Gold Star Family Memorial Monument was created by Medal of Honor Recipient Hershel “Woody” Williams to remember those families who have made the ultimate sacrifice. There are more than 44 Gold Star Monuments across the country, and the New Hanover County monument is the first one in North Carolina. Local officials and Gold Star representatives and family members, including Hershel “Woody” Williams, will take part in the dedication ceremony. The public and media are invited to attend. To learn more about the memorial, visit the Hershel Woody Williams Medal of Honor Foundation website.